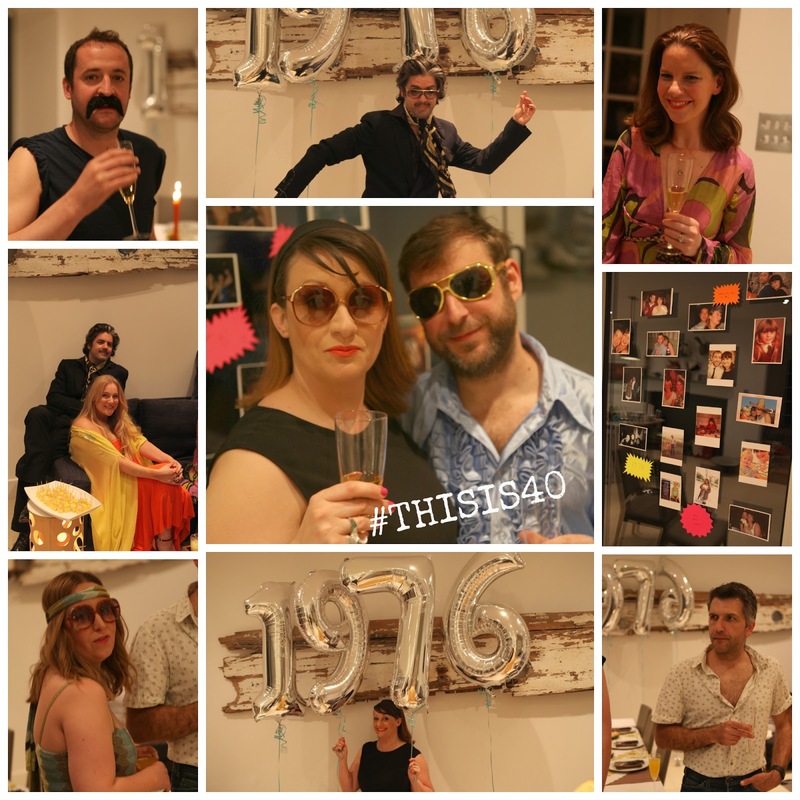 Earlier this month I turned 40.
a retro 1970’s Dinner Party. You can see where we celebrated here. easy – to cook and on the pocket. not only retro, but on trend too! 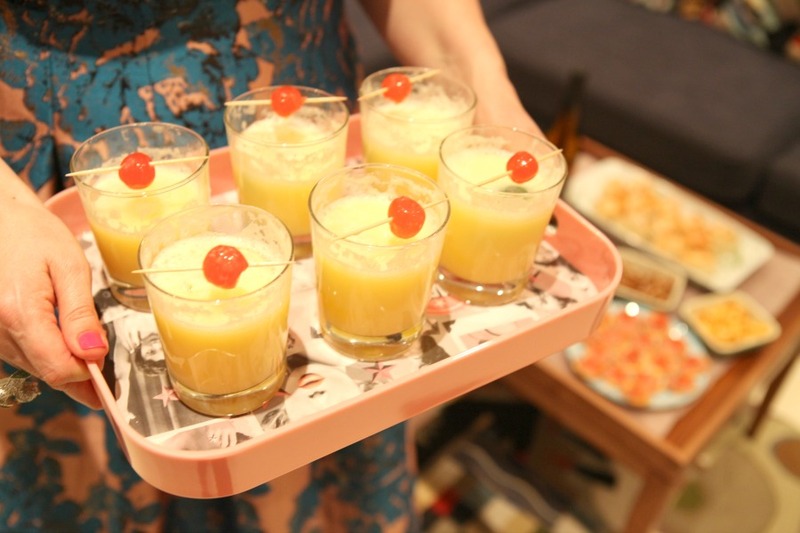 We kicked of the party with some retro snowballs. 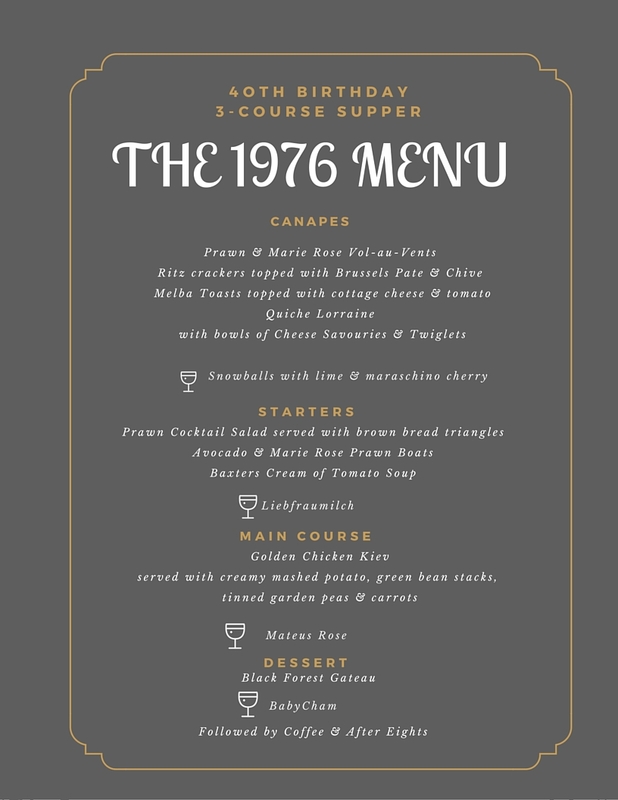 A table of 1970’s inspired canapés…. 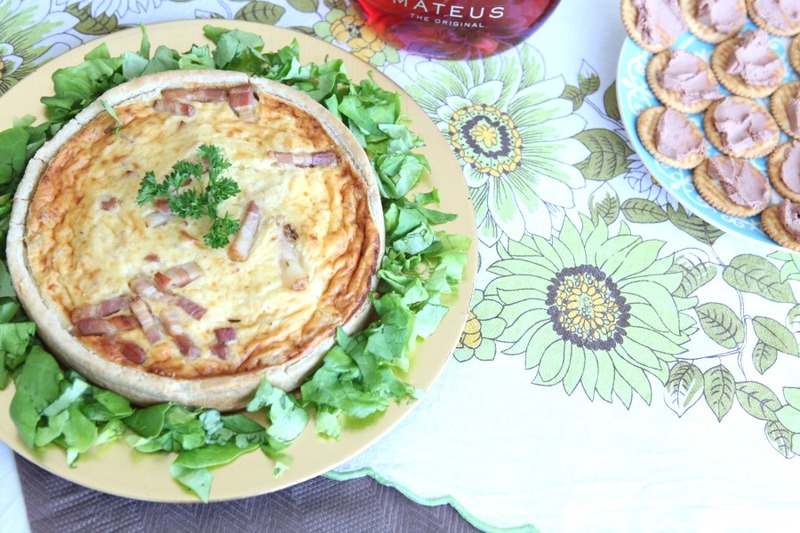 No 1970’s party is complete without some Quiche – Morrisons From the Deli Quiche Lorraine tasted so good it almost passed for homemade. 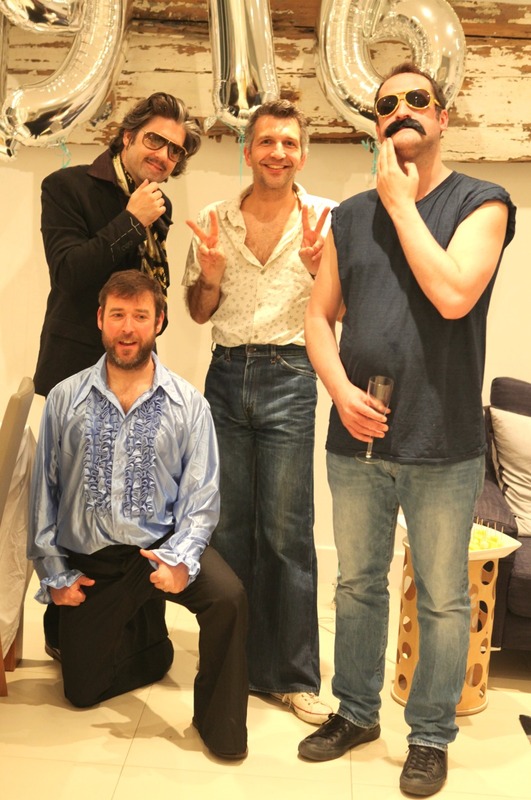 The boys even got in on the 1970’s act too…with a little help from the girls in some cases! 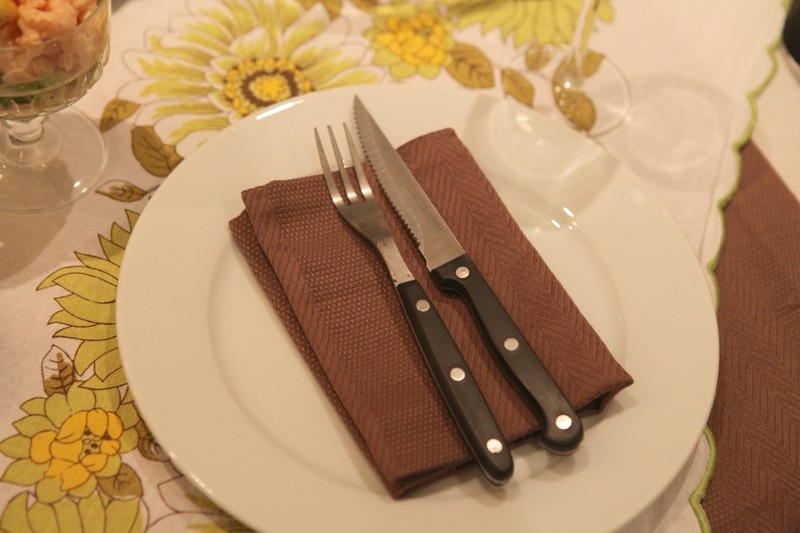 I had set the table using a table cloth I had found on Esty – which although I got for the party – I actually really love the pattern so have been using it in the kitchen now too. I searched for ages on eBay and Etsy for a set of brown or orange napkins to finish the table. Then on a little look through my cupboards I found I already had a set that forgotten about that I used to use in the garden! I picked up the orange candles which were £1 for 3 from Tiger Stores. 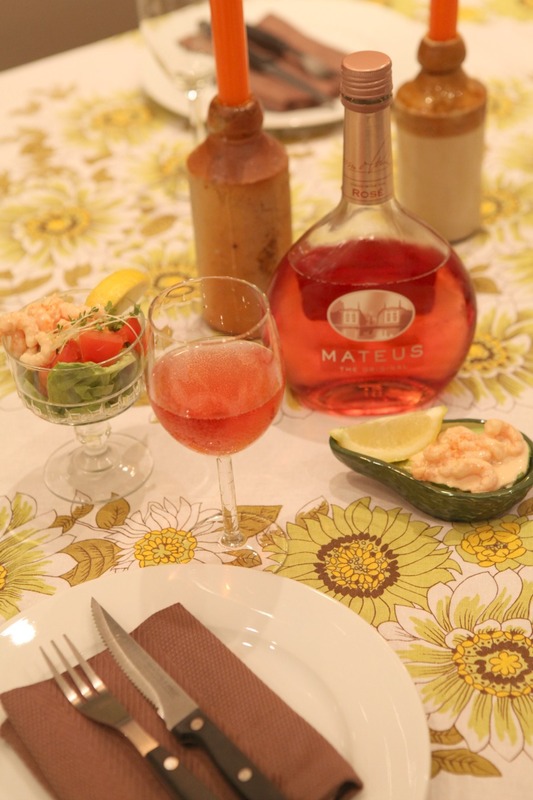 We did break open the Mateus Rose which I picked up in Morrisons for £5 …. I really wanted to like it! 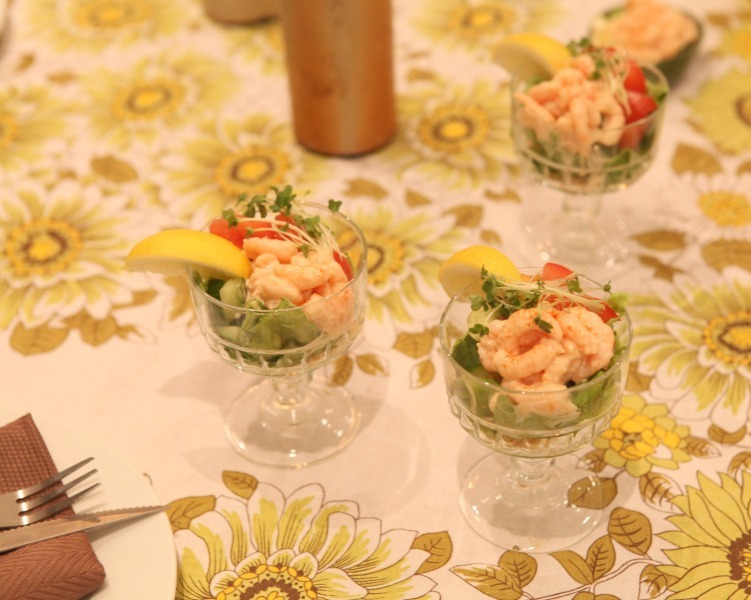 Using my charity shop finds we served up a classic prawn cocktail – which is still my most favourite starter ever. If its on a menu I will have it without question. 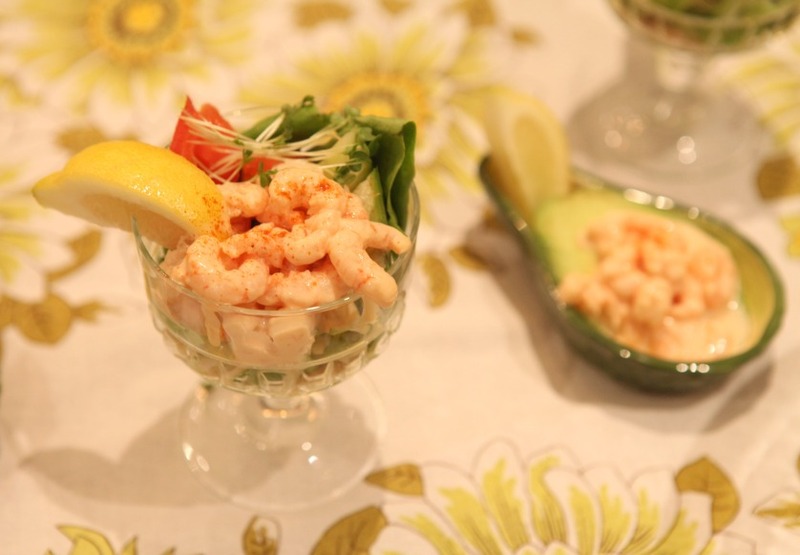 I remember my parents serving it like this with a wedge of lemon – and I got to use my Avocado dishes too. Using Morrisons Signature The Best Prawn Cocktail was so easy. The succulent cold water prawn were already mixed in a Marie Rose sauce made with Cognac and finished with a dusting of paprika. 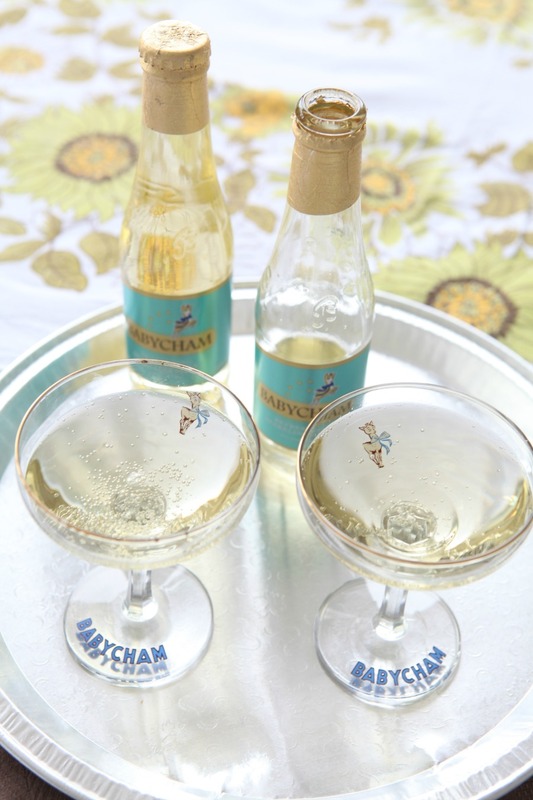 It was delicious – we also used this to fill the Vol-au-Vents cases. 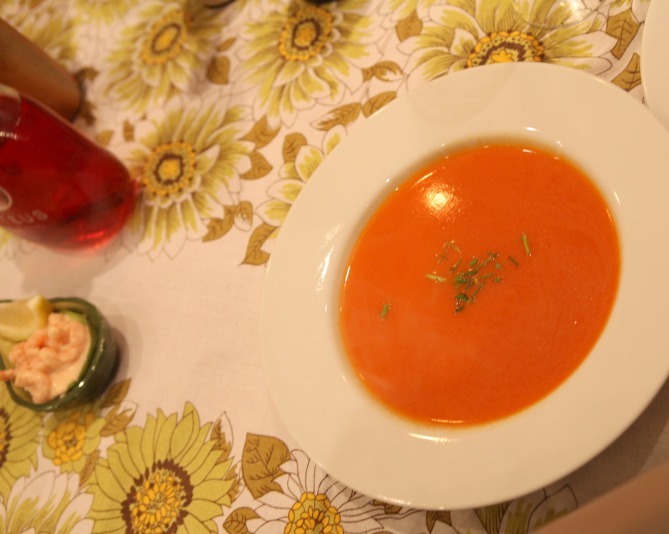 Tomato soup – it had to be Baxters. 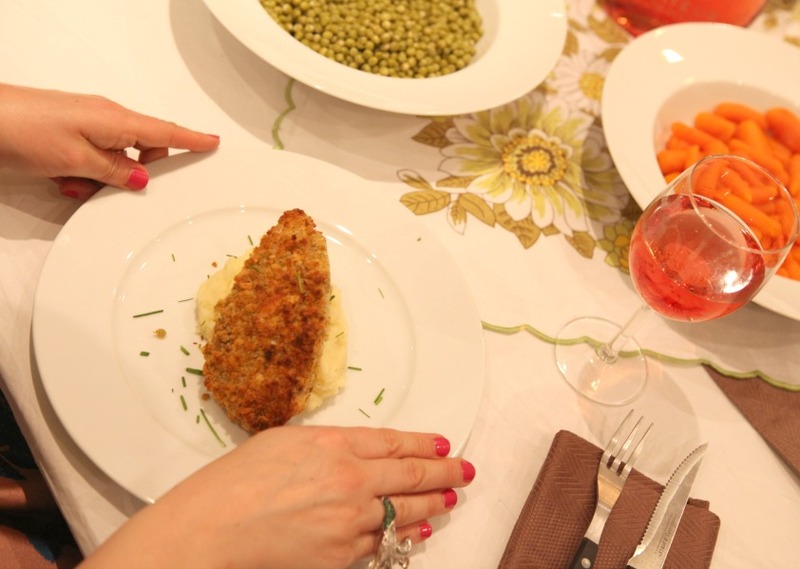 For the main meal we went for Chicken Kiev. I had planned to make them from scratch with the help of my friend Sarah – who actually took over the kitchen duties (thankfully) so I could enjoy the party. 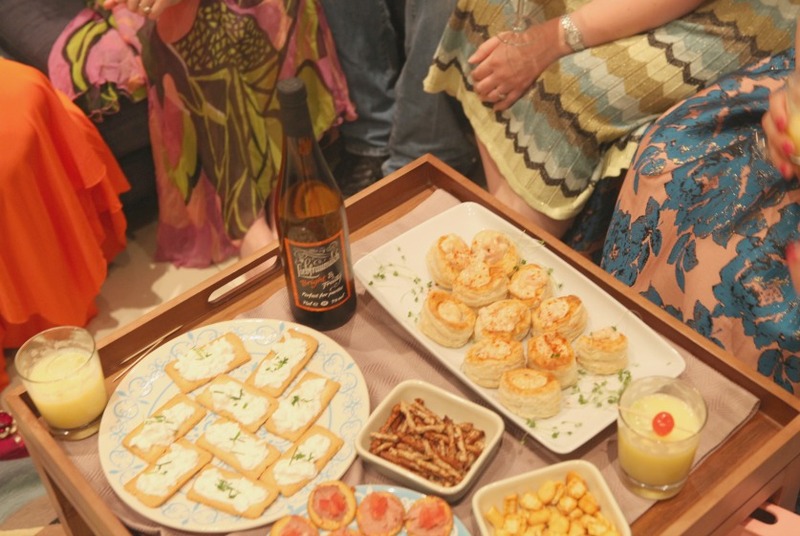 But instead – and for ease we had some pre-made ones from Morrisons. 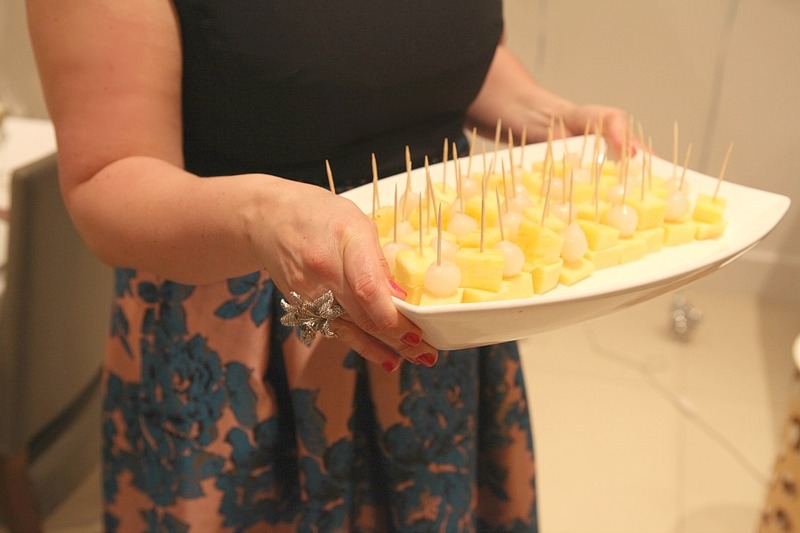 They are from the Morrisons Kitchen range – and I have to say they tasted homemade anyway. The chicken was succulent and fresh and the garlic butter and golden crumb coating was just right. 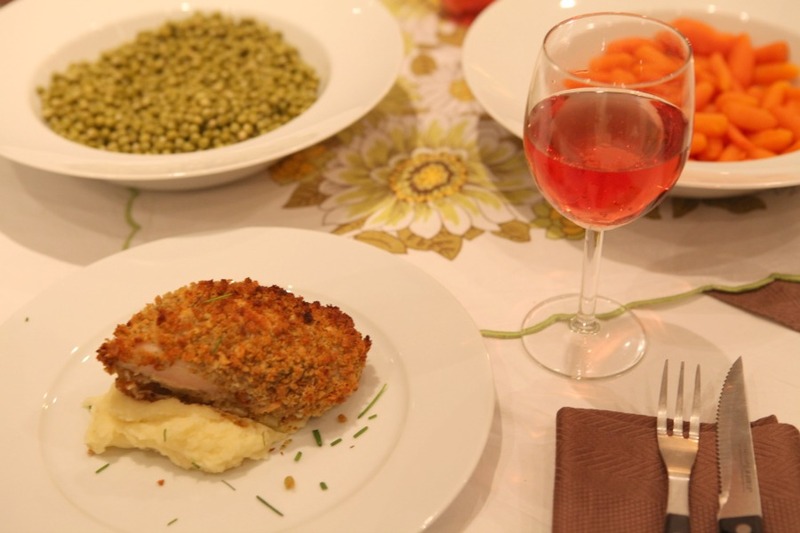 To serve the chicken we put it on a bed of home-made creamy mash. I also served up green beans and tinned peas and carrots – just like my mum would have. I don’t have a problem with tinned vegetables in fact I think I like them because I grew up eating them (so shoot me). 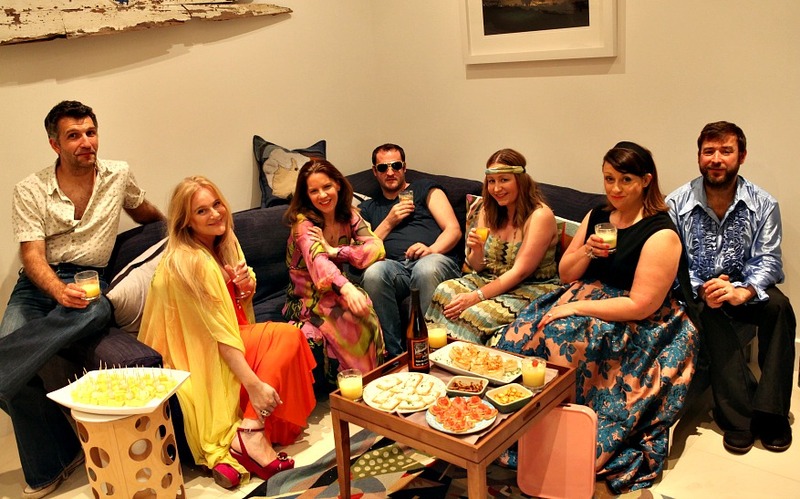 By this point we were all quite full but we couldn’t end a 1970’s inspired dinner party without some dessert. The dessert was actually my birthday cake too. I had thought we could make the cake ourselves but really what was I thinking? 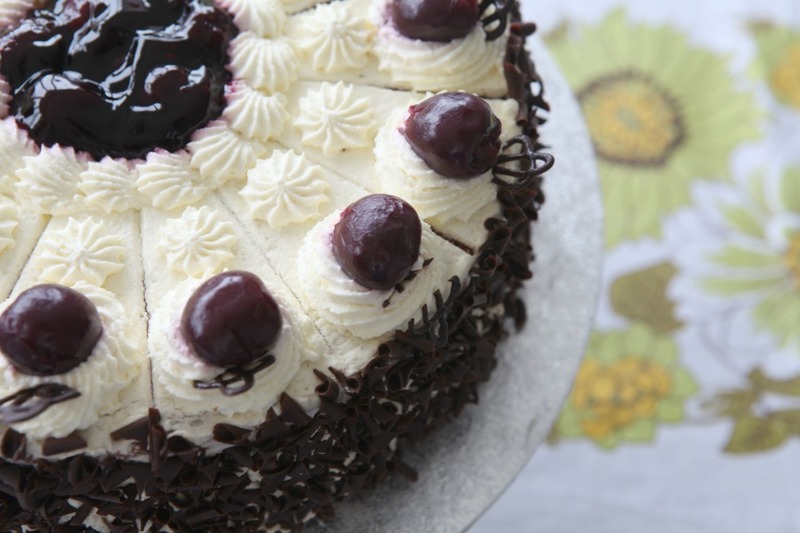 A Black Forest Gateaux would have taken over the afternoon, we had 7 kids with us and to be honest I have never made one before. In the end I had my Birthday Cake made by a professional. I found a lovely bakery called Jempson’s. 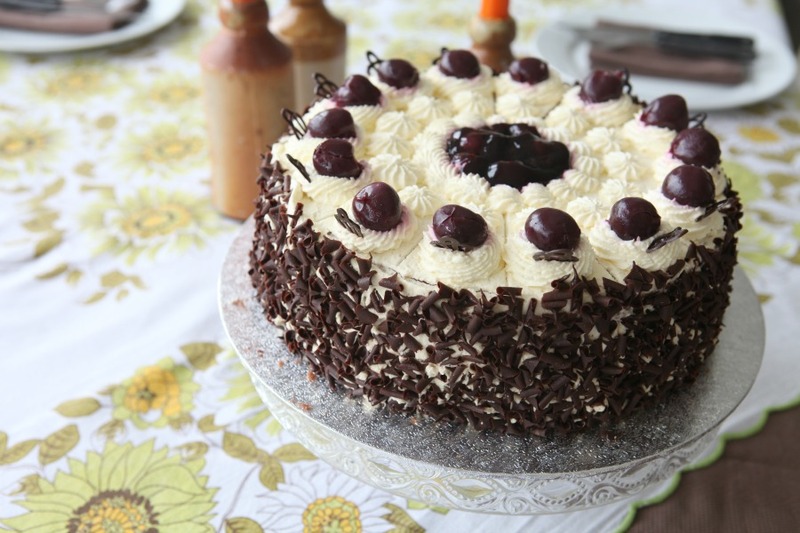 The cake looked exactly as I had hoped – like the ones I had at my nan and granddad’s house at Christmas time. 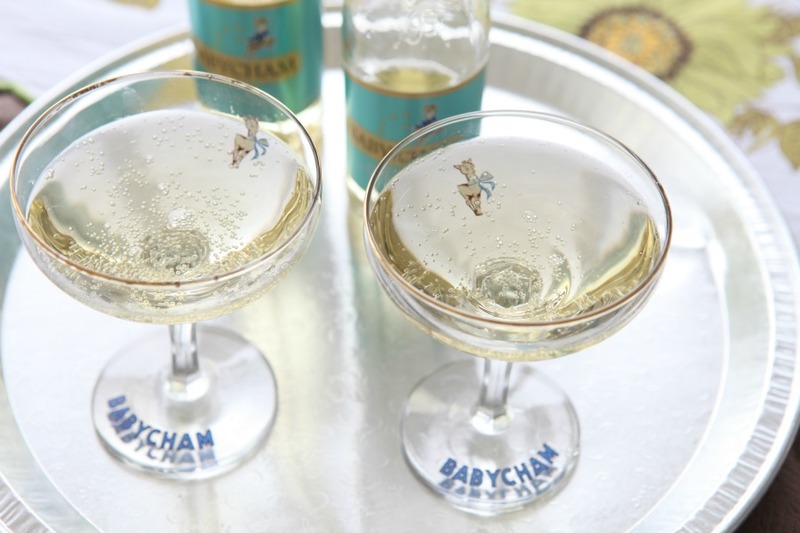 and, although I got to use my vintage Babycham glasses it was far to sweet for me! 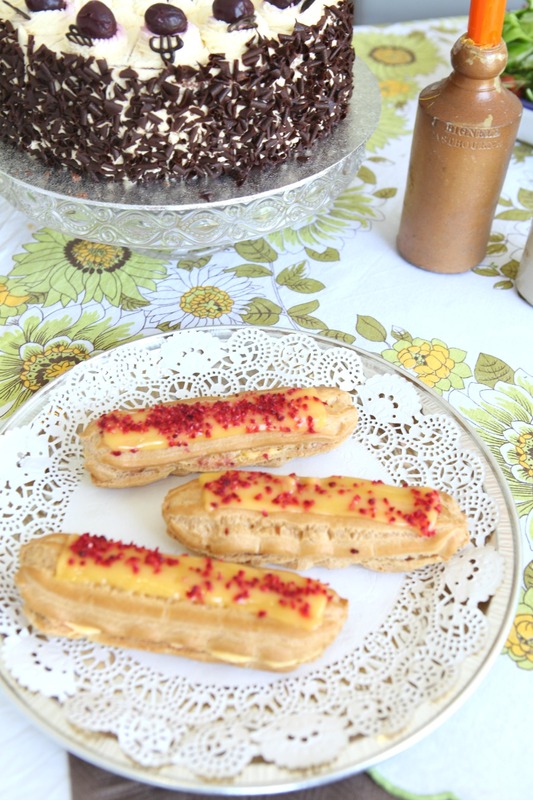 For those not keen on cake we also had some eclairs – not as 1970’s as Profiteroles but these weren’t any eclairs they were Morrisons Signature Peach Melba Eclairs. And, you can’t get more 70’s than a peach melba. Topped with raspberry pieces they tasted just like summer. 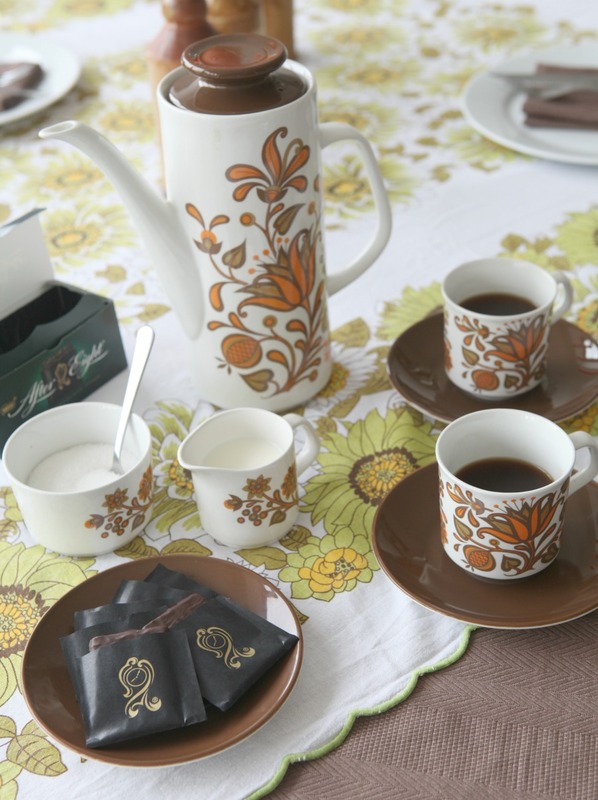 We rounded of the night with some coffee and After Eights…before we changed the music to 1970’s Disco with all my faves (Donna Summer, The Bee Gees, Abba and Fleetwood Mac). 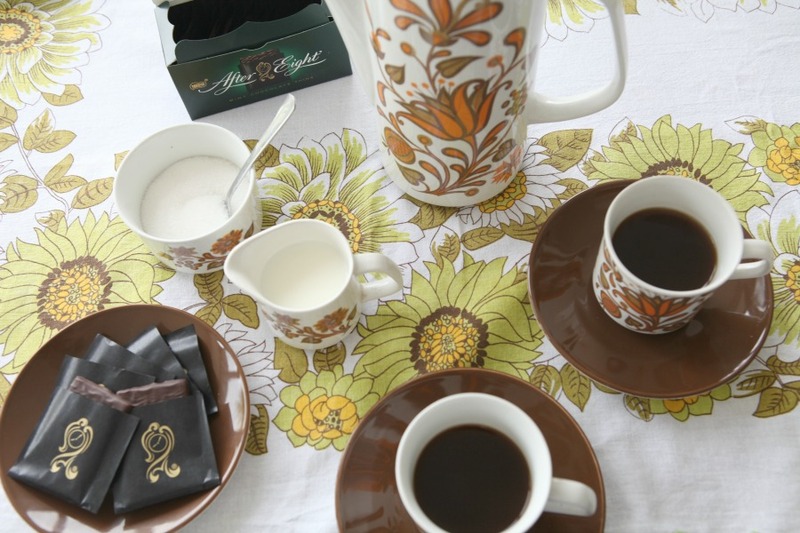 I knew my nan’s vintage J & G Meakin coffee set would come in handy one day. I have loved this set since I was a child when it used to sit in my grandparents glass cabinet. Of course no after-dinner coffees would be complete without a mint…these are still one of my favourite chocolates and I always have a box at Christmas. 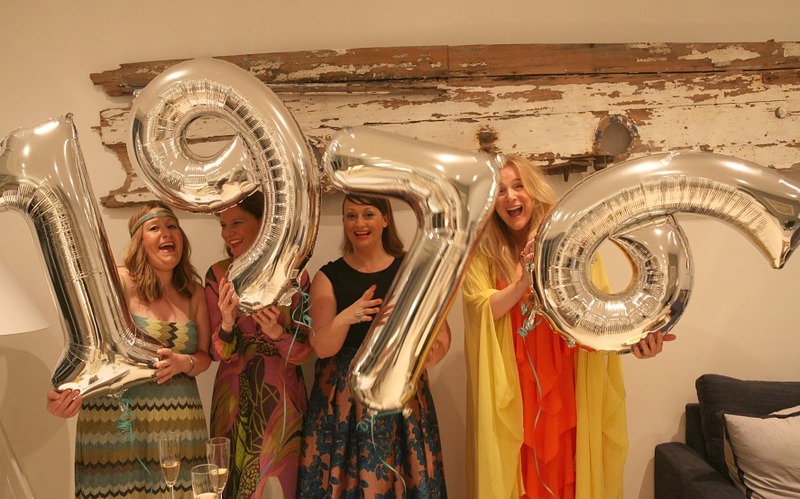 Morrisons for the 1970’s Party Food – it rocked! John Pocock Photography – for the fab pictures and having not one, but two stylists nagging you! Monsoon for my dress – I knew I would get to wear it one day! And, of course my husband and friends – for Everything! 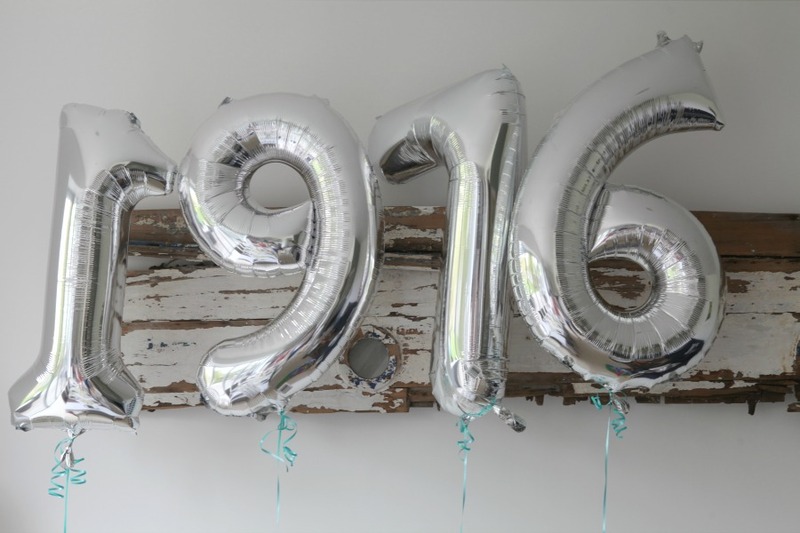 From the cooking, sorting the music, washing up, the memories on the door and for making it a special night to remember …oh, what a night!! love love love, and I want that dress!